​Tinkerbelle is an inspirational, darling and extremely sweet, loving, kind and gentle therapy pony. She is a half Shetland pony and half miniature horse. She is 36" tall and is naturally white colored. She loves to get dressed up and have her hair temporary colored with non-toxic children's water-based finger paint, and lots of glitter! 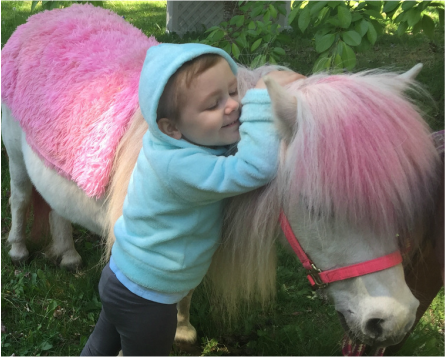 She is a very special pony with many different roles in life... Tinkerbelle is a licensed therapy pony, she is the "Pink" 12th Pony, Breast Cancer Awareness Pony, Childhood Cancer Awareness Pony and she is also Wilson The 12th Pony's girlfriend. Tinkerbelle is a gentle soul with a huge heart. She loves to touch people's lives, bring a smile to their face and help them feel better. She adores people, loves to be loved on and also giving soft pony hugs and kisses. 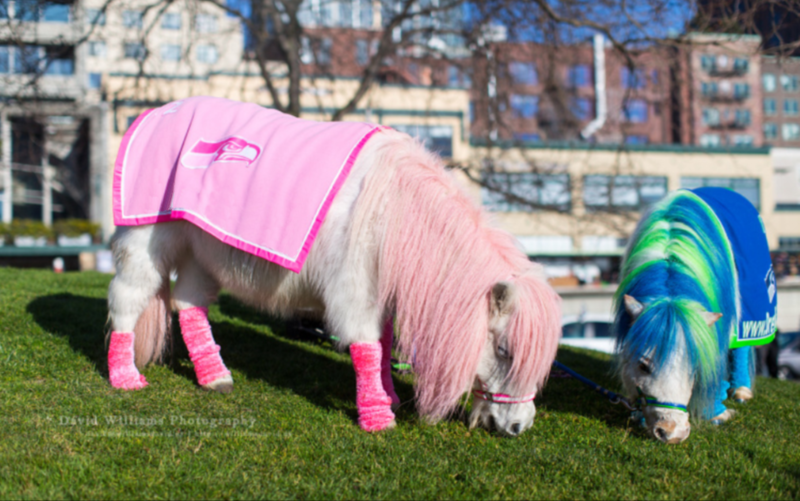 She occasionally travels with Wilson The Pony to Seahawks games, events and parades from time to time, but her favorite thing in life is to visit her very special friends in hospitals, assisted living centers, schools, hospice care and even in their homes. To request a special visit from Tinkerbelle please click here. 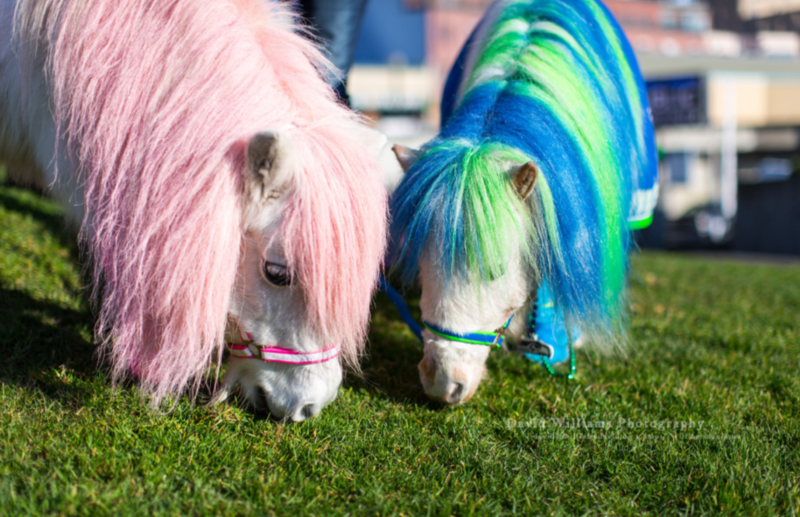 Tinkerbelle and Wilson both support many causes, and help raise money and awareness for countless charity and nonprofit organizations... Learn More.